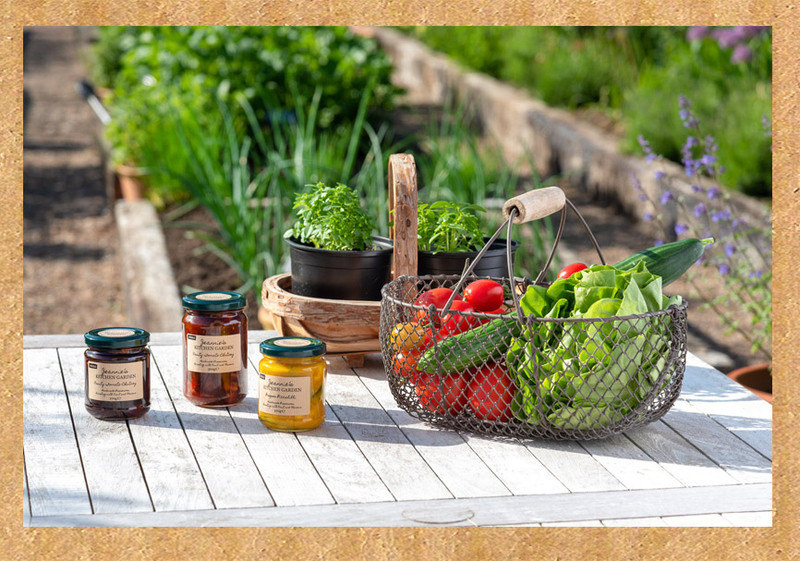 You can buy Jeannie's Kitchen Garden preserves directly from us using our online shop, or if you’re in the area, why not pop over to the honesty box or visit one of our lovely local stockists below? Derek and Rowan, a father and daughter team, run a great café here. The breakfasts and lunches are brilliant and all made in the kitchen from scratch. Derek’s pies are famous as is Rowan’s chocolate cake. Fabulous Christmas puddings make their appearance mid November each year. This place feels more of a community hub than a café! Tracey and Simon Perryman run the grocery shop which has a deli counter, they serve hot food too. Enjoy a cup of freshly brewed tea or coffee at one of the little tables in the window and watch the world go by (slowly). Askham is one of Cumbria’s prettiest villages with its lovely green, flanked by little cottages, ancient farmsteads and two nice pubs. Up on Askham Common there are the beautiful wild Fell ponies, great walks on the Common start at the top of the village. Askham Hall is just down the road, a luxury hotel with a café in an old cowshed and fascinating gardens to walk round. There’s also an open-air swimming pool in Askham. Olivia Abbott, Graham Uney and their dog Bert, run the shop and tearoom. The shop sells a really good range of food from local producers, meat and pies, beers and wines, dairy, eggs, even toffee vodka! There’s an informal spot for a cuppa at the table in the shop or the very pleasant Tearoom next to the shop with an open fire in winter. All the food is homemade and delicious. Our preserves are used in the tearoom and are for sale in the shop. Olivia and Graham also have two B&B rooms. Graham makes a great breakfast and our marmalades and jam are there for the toast. Graham is a qualified mountain and walking skills instructor and is one of the Lake District National Park’s Felltop Assessors, climbing Helvellyn almost every day to assess if the conditions are safe for climbers and walkers. Find out more about Graham at www.grahamuneymountaineering.co.uk. Olivia is an ex-journalist, is a keen (and very good) baker and further is a talented photographer. She is also the postmistress of the full- service Post Office in the shop! This fine food establishment was founded in 1793. It’s a lovely old building in the heart of Penrith. The shelves and counters are crammed with excellent breads and cakes, made on the premises. Lots of local cheeses and the much-talked-about Alan’s Ham – is also cooked on the premises. Loose leaf teas and coffees from local producers, many interesting beers, wines and spirits, much of which is also made locally. The full range of our preserves is on sale here. Graham’s also make up really lovely gift hampers and deliver them too. The birds are definitely worth coming to see here but the charming tearoom in the walled garden is a must. Karen and Lucy will welcome you, there’s a cosy woodburner, squishy sofas and tables to sit at and enjoy home-made savoury tarts, home baking and other treats. Our preserves make an appearance on the menu and are available for sale. This is a great place. Fiona and her team of jolly volunteers have a very well-stocked local community village store, supporting local charities, with food and drink from local artisan producers. Fiona has just launched her ‘Micro Bakery’ selling sweet and savoury baking, all made by her and fresh every day. Andy Blundell Restoration sells antiques, retro furniture and collectables in the original loose boxes of the converted Victorian stables next door and in the stables Fiona has an eclectic selection of pre-loved articles for sale at very good prices. We are always on the lookout for like-minded people who would like to stock our jams, pickles and marmalades. Click here to complete our stockist request form and Jeannie will be back in touch to discuss. Ivan and Angela Stott run this brilliant deli with its very friendly café serving delicious home-made soups, Ivan’s wonderful quiches and super-healthy salads. The deli counter is full of interesting Scottish cheeses and speciality foods and then there is a very wide variety of continental deli goods too. The shop shelves showcase lots of Scottish beers and spirits and also a good range of quality foods and drink from around the world. At Christmas time there is a particularly attractive display and on one evening in early December Biggar’s shops stay open late and there is a real party atmosphere as shoppers go from store to store making their festive purchases.